Ironman: If one does that it is crazy. If many do it it is called an event. Same for Empire State Building Run-Up. Ironman: Wenn einer das macht, dann ist das eine Verrücktheit. Wenn viele es machen, ist es ein Event. Denk ich mir auch dem Stiegenlauf im Empire State Building. High quality audio processors made with love. 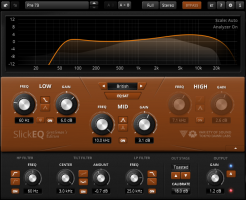 Compatible with VST, Audio-Unit and AAX audio plugin hosts.